From an unassuming shoe, legends were made. Dr. J wore the Converse Pro Leather with the NBA&apos;s Philadelphia 76ers and a few years later a freshman named Mike Jordan wore a pair with a powder blue Star Chevron at the University of North Carolina. Now the heralded silhouette returns once again as part of Converse&apos;s First String program. Let&apos;s get into it. 1) HEY. THE PRO LEATHER HAS COME BACK A BUNCH OF TIMES, RIGHT? Yeah, it&apos;s one of Converse&apos;s most heralded silos — their first full-grain leather hoops shoe to feature the Star Chevron logo. Makes sense it would be a regular. 2) SO WHAT MAKES THIS RELEASE SO SPECIAL? A couple of things, actually. It&apos;s part of the First String program, which means it&apos;s a premium release. On top of that, fewer than 200 pairs of the white/navy joints will release at retail. And unlike previous retros, these are true to the originals. 3) WHEN DO THEY DROP? This Friday, August 5th. They&apos;ll be $90, which is more than Pro Leathers usually are, but still right around the same price as an in-line Air Force 1 low. 4) WHAT THE HECK IS THAT GOLD STAMP ON THE SIDE? Funny you should ask. 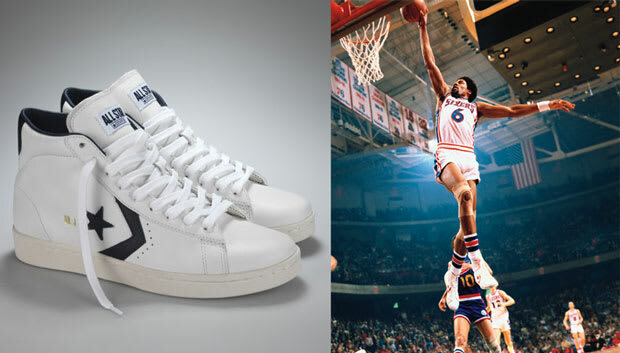 When Doctor J was playing, his Pro Leathers had "DR. J" embossed on the lateral sides — it became his de facto signature shoe even though plenty of ABA and NBA cats wore them. This is the first time a to-the-public release has had "DR. J" embossed on them. Afro not included. 5) HOW GOOD WAS DR. J, REALLY? I MEAN, WOULD HE HAVE BEEN AN ALL-STAR TODAY? I believe this should answer your question. Bill Walton still has (non-acid) flashbacks. 6) AND WERE THE SHOES POPULAR BACK THEN? Hell yeah. Bobbito talks about them in Where&apos;d You Get Those? and says the highs were the shoe of choice on New York City playgrounds around &apos;80-81. That&apos;s the highest praise there is for a basketball shoe. 7) SO WAIT — IS THAT ALL? FEWER THAN 200 PAIRS? Well, there will be two other releases in September and November. TELL ME MORE. I will if you&apos;ll let me? These will be more "lifestyle" releases done up in Horween Chromexcel leather — the kind of leather that companies like Alden use on high-end boots and shoes. What that means is they&apos;ll last longer than you and age very nicely. A black pair drops in September, and a burgundy in November. That&apos;s a little wider, 360 pairs of each. 8) DID YOU EVER MENTION WHEN THE SHOE FIRST DROPPED? Oops, nope. Came out in 1976. 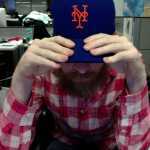 They were around $35 back then and came in all sorts of crazy team colors, both high and low. 9) SO THIS PROBABLY ISN&apos;T THE LAST WE&apos;LL SEE OF THEM, HUH? No, probably not. Still, this is a good start, being the 35th anniversary of the shoe and all. 10) COOL. SO, WHAT DOES DOC THINK? We&apos;ll let him tell it: "It&apos;s flattering that the Converse Pro Leather shoe, one that has preceded so many other signature shoes, is so widely recognized as the ‘Dr. J’. I have so many memories wearing this shoe and am honored that it has stood the test of time and continues to live on."